Kazan has an awesome sketch over at 2 Sketches 4 You today! And what is really cool behind the sketch is that the sponser this week is Living Rooms Direct - who asked us to pick something from their store (some piece, like furniture, lamps, rugs, etc.) 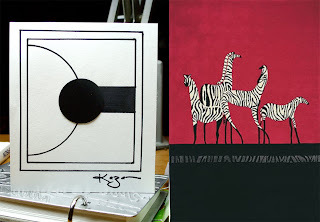 as inspiration from which to make the card from. There are SO many things in the store that it was hard to pick just one - but as soon as I saw this rug in their contemporary rug section - I totally wanted to make a card from it. Ink: Real Ruby from SU! Check out the rest of the DT's simply awesome creations!!! Hope you get a chance to play along this week! 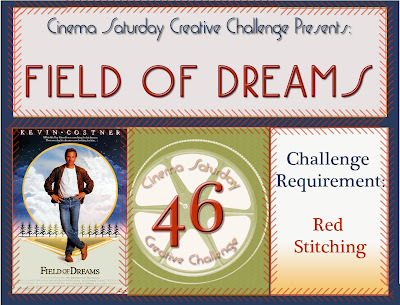 where each Saturday we pick a movie from where we create a card from - and today is our 47th Cinema challenge!!! 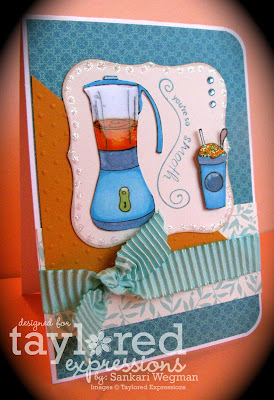 We are getting close to our 50th challenge complete with yummy blog candy and a special and wonderful designer! 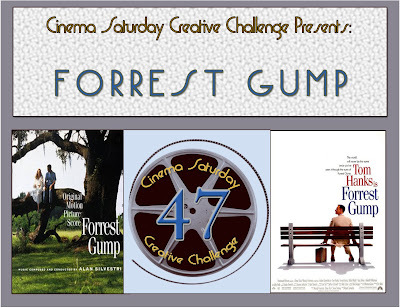 But first the movie this week is the 1994 Oscar winning movies: Forrest Gump! This movie won 6 Oscars (including: Best Picture, Best Actor, Best Director among othesrs and won 32 other awards! Amazing! The tagline for this movie is: the story of a lifetime - and what an beautiful story it is and such wonderful acting. If you haven't seen this movie yet - its a definite must! The sweet innocence of Forrest in a time that is not so innocent is simply inspiring....! 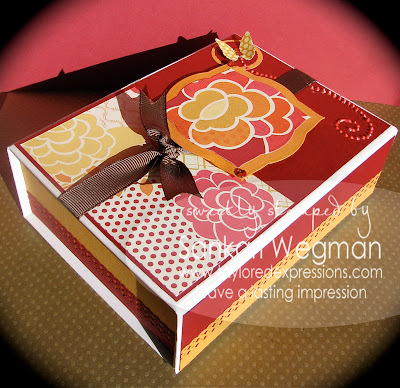 This week's challenge requirement is to use some brown in your creation - it could be brads, ribbons, cardstock, ink - anything brown (a lot or a little!)!!! Jenny: Why are you so god to me? Jenny: (pause) I'll always be your girl. 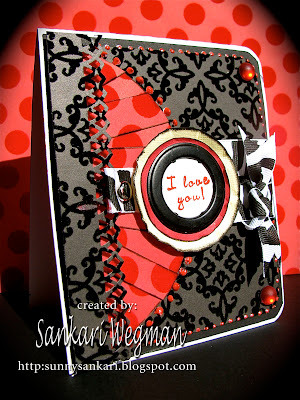 Accessories: rhinestones, ribbon from stash, circle cutter from CM, stickles. Please check out the Cinema Saturday Creative Challenge Blog for more details and we can't wait to see what you create!!! and so I made two - one for a boy and one for a girl - one of each just in case I need a quick card - and these were super quick cards - literally 7 minutes each - crazy! I used the sketch that PaperCraftPlanet is featuring this week. Ink: Bordering Blue from SU! and I forgot what kind of pink from SU! Ink: Old Olive from SU! Thanks so much for visiting my corner :) Have a go at all these challenges out there! PS- Have a chillaxin friday ya'll!!!! 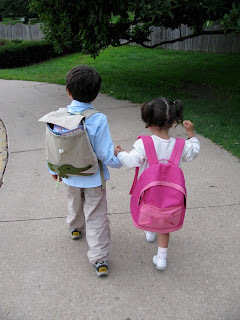 I canNOT even begin to express the full on school busy-ness that has encompassed each day of this week - from driving back and forth from dr.s appts, filling in a ton of papers, creating checklists and then creating more checklists - and slowly crossing things off - to finally today seeing the little wee ones head off to school - wow! what a week - and its only wednesday!!! Ink: Taken with Teal SU! I can't wait to make some more - but for right now - my laundry is calling - right now is the time that I SO wish I could wiggle my nose like Genie and all the chores would get done! 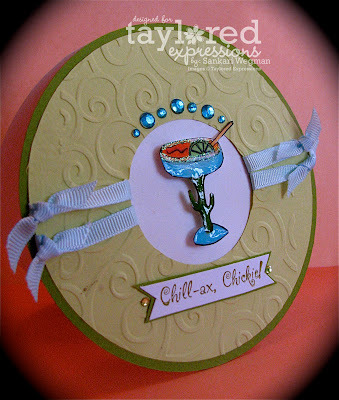 I hope you have some time to Chillax today!!! Hope your Monday is kicking off to an awesome start! 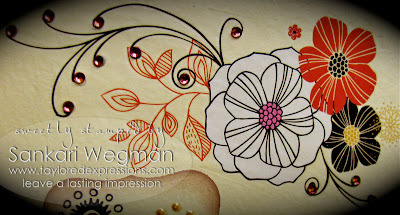 Laura has an awesome sketch for us over at 2 Sketches 4 You and the sponser this week is a really cool company called EAD designs and we got to try some of their Scrapbooking Vinyl Rub Ons - and holy smokes - how cool are these!!! I LOVE how easy they were to transfer onto the card and they come in a TON of colors and different images. I got to try their Cottage Vinyl Rub Ons and I love all the images in this set! I loved playing along with this sketch and hope that you all have a chance to play along! 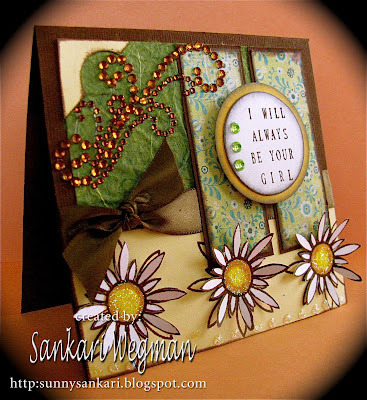 The card of the week from this week's challenge has the chance of being a guest designer for next week! So come on and play along!!! Can't wait to see all your lovely creations! Hope you have a happy start to your week! Ink: Ballet Blue from SU! I am so psyched to be part of this awesome team this year because its been so much fun to stay motivated in making Christmas cards for this whole year! 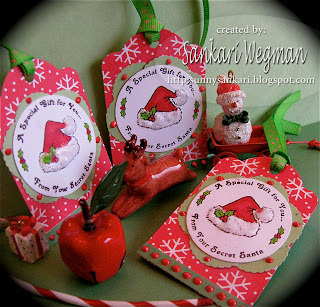 And I hope that you guys will play along with us this week and have fun creating a different shape christmas/holiday card! 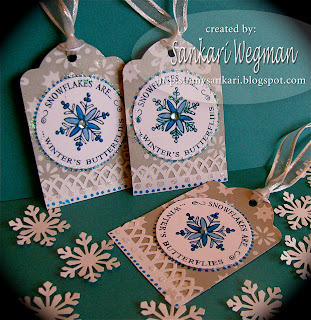 Check out these totally awesome and inspiring creations that the ladies at the Christmas Stampin' All Year Long blog have created!!! 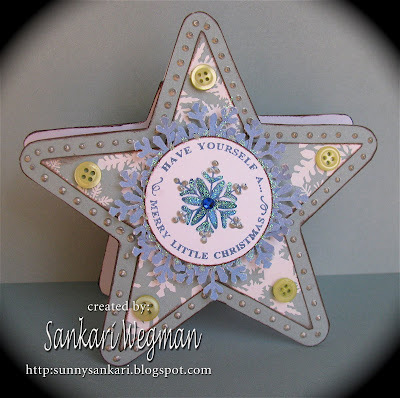 Good Morning Everyone - its time for another Cinema Saturday challenge - where every saturday we pick a new movie from which to draw our inspiration from in creating a card, layout, altered item etc. Today's movie pick is the 1989 Academy Award nominated movie: Field of Dreams! Among other categories - this movie was nominated for Best Picture and is a movie that inspires the audience to reach for your dreams and enlivens the value of hope, faith and listening to the inner guiding voice. It is truly beyond a sports genre film - and rather, as one movie review wrote: ".... it is a testament to the timeless nature of its story and the universal reach of its theme of family, faith and redemption." 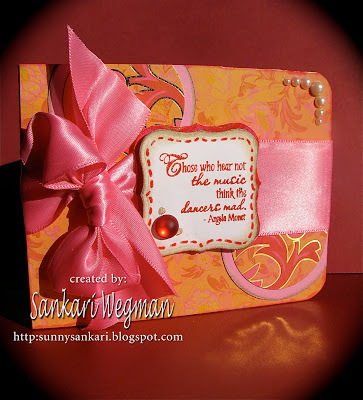 Accessories: embroidery thread, liquid pearls (it is slightly hilarious to me that I used liquid pearls on a manly card! ha! I am so addicted to those things!) making memories brads. Technique: cut out a circle on a half folded up cardstock so that part of the circle is not cut so that it can stand up as a circle card, cut out the same size circle on a different cardstock, pierce holes going in half circles around the large circle and thread in a v-shape to create a baseball stitch, add "not pretty" sponging and a sentiment. And after making such a card with "not pretty" sponging - I wanted to make a more "pretty" card so I made this one because I was totally inspired by the quote: "Those who hear not the music, think the dancer mad" - This quote totally makes me think of the movie and Costner's character's journey as he listen's to the voice. 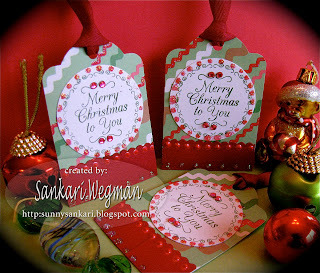 I had so much fun making these cards for the challenge and hope that you play along with us too! 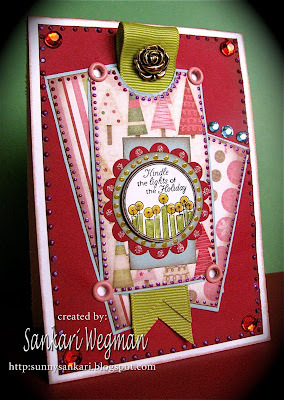 You can check out more details on the Cinema Saturday Creative Challenge blog! Thanks so much for visiting my little blog corner!!! 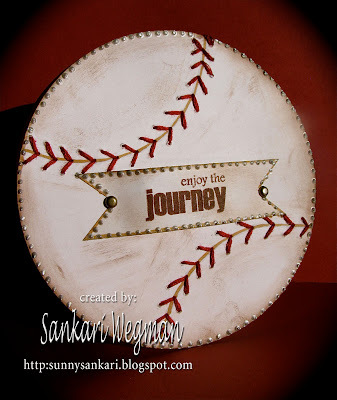 Hope all of your field of dreams comes true!!! 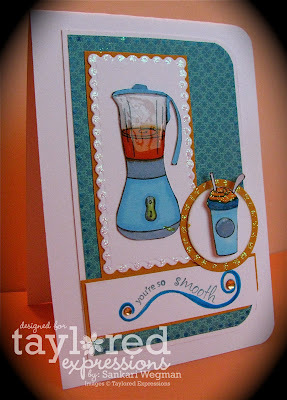 I am so excited to be able to show you the August Key Ingredients Kit from Taylored Expressions. 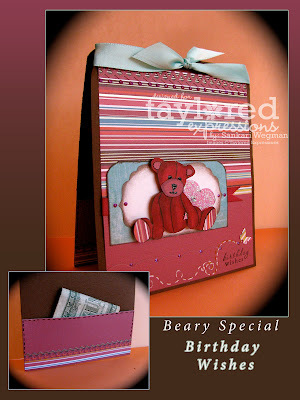 Each month, Taylor puts together a kit consisting of handpicked cardstock, coordinating DP and ribbon with accessories for embellishment. She has a subscription program of either 3 months subscription or 6 months subscription so you don't even to think about it because these beautiful kits automatically come to your door! And now have you seen the news? Now, Taylor is offering these subscription plans on a monthly charge basis rather than paying for it all up front - which is totally budget friendly!!!!! You can read more about all the details here. 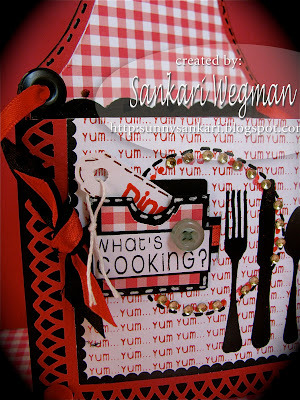 There is so much paper and goodies that are packed into one kit that you can make all kinds of projects and cards and still have left over ingredients for more projects! I think that the August Key Ingredients are my most favorite one because of the colors and because of the COOLEST rub ons in the pack! As soon as I saw them - I was sooooo ooohin and aahhing!! Here is a closer look at the rub on: isn't this just the prettiest rub on!!!?!!! 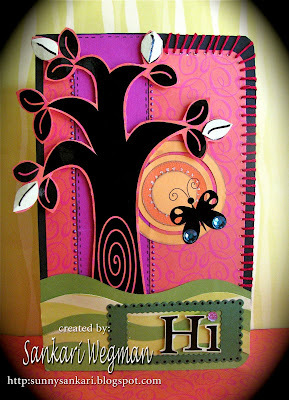 One of my other favorite images from the rubons in the August Key Ingredients is this little tree: isn't it so cute!?! 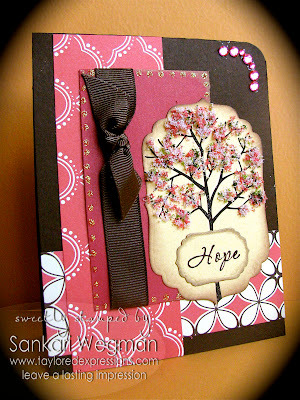 All I did was add a little bit of Flower Soft to give it a spring blossom look. The sentiment Hope is from the Beary Special. All I did was cut three strips from the different papers in the kit. 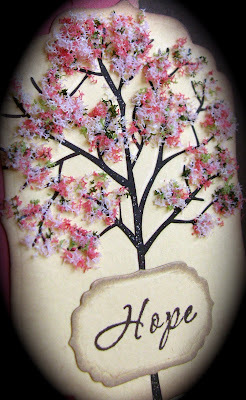 Rub the tree image on the cardstock - cut it and the sentiment Hope out with Spellbinders and add ribbon, flower soft and bling - I was so amazed at how quickly it all came together! 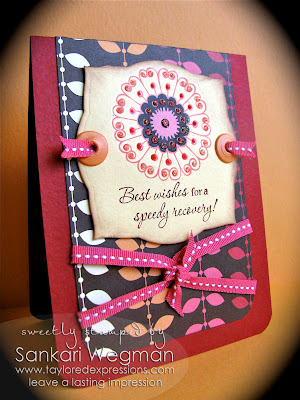 And here is the last card in the set: This was the quickest card - one sheet of the DP the sentiment: Best wishes for a Speedy Recovery is from the Doctor's Orders Stamp set which I then cut out with spellbinders. 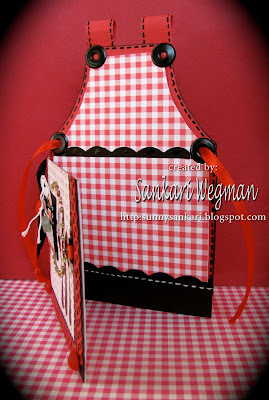 I added some big eyelets to the corners for the ribbon and added some bling to the rub on image. I still had some time left - so I crissed crossed the ribbon in the front and rounded out the corners - its crazy how quickly it came together! Sign up for the subscription service to receive the Key Ingredients Kits released the 20th of each month for just $15.95 a month plus shipping for the 3 month subscription - or for the best value - you can purchase the 6 month subscription for just $14.95 a month plus shipping and as a BONUS - Taylor is including 2 Perfect Package Card Boxes for FREE (usually a $5.95 value) if you order by the 25th of August!!! That is one value packed offering!!! I am so in LOVE with these perfect packages and together with the Key Ingredients you can create so many lovely projects, gift sets, coordinating cards and have a place to put them in and give as a wonderful gift!. and of course - Taylor VanBruggen!!!! Thanks so much for stopping in!!! Please click on this link: or scroll down till the next post!! Thank you so much for popping/hopping over!!! 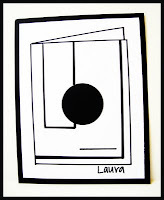 :) Here is the front of the card: To make it - I created an A2 card and the took a 2" circle and traced it on either side (so that it covered half the top corner) and then cut it. Ink: Stazon Black and Ruby Red from SU! 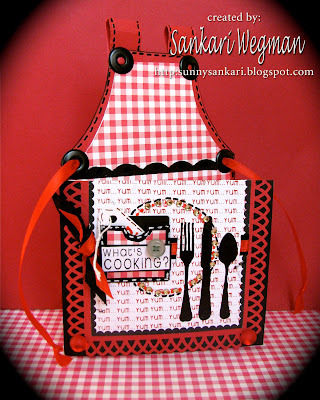 Accessories: Teresa Collins paper with the fork/knife and spoon, Kaiser Rhinestones, Lattice punch from Martha Stewart, Red bling from Martha Stewart, corner rounder, black glaze pen from Sakura, eyelets and Cropadile, ribbon from stash, button from Whirligig collection, string for tag, hole puncher. 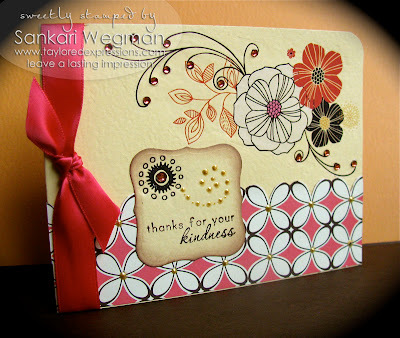 I loved playing this sketch and using these Gourmet stamps!!! 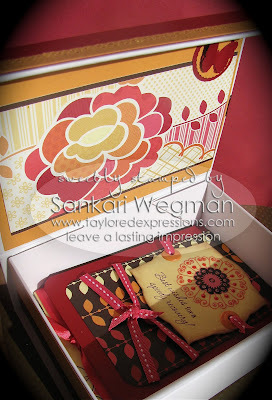 Can't wait to see what lovely creations you come up with Kazan's sketch!!! Thanks so much for visiting my little corner !!! Hope your Monday is turning out to be bright and fantastic!!! Ink: Not quite Navy from SU! 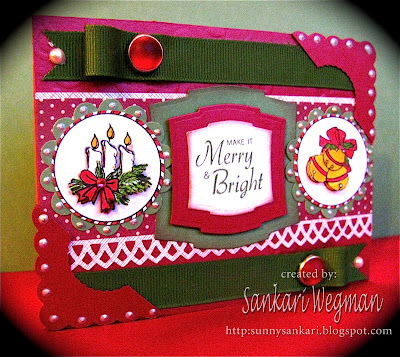 I made this card using the sketch from Maria Bell for the Christmas Stamping All Year Long group - where we make Christmas cards all year long to take away the pressure from creating everything last minute around Christmas time. 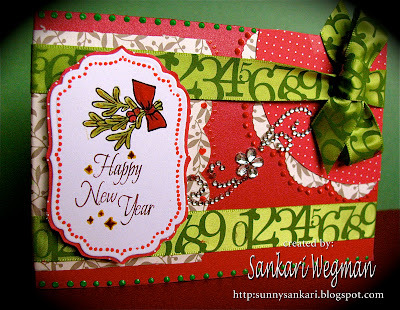 I flipped the sketch and combined two of the stamp images (the New Year sentiment and mistletoe) on a sheet of paper and then cut it out with Spellbinders. 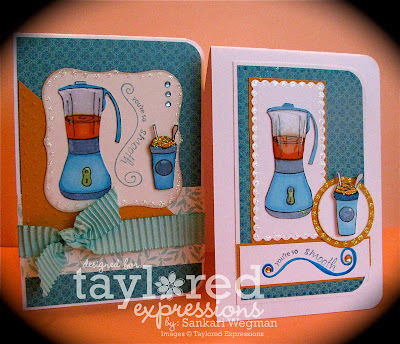 I had a ton of fun playing with this amazing and versatile stamp set from the Just Rite Stamp system! Huge thanks to Kellie Fortin for organizing this amazing hop! Check out the amazing projects that these super fabulous artists have created using these cute stamps!